While Rome is swarming with famous sights, there are several off the beaten path activities for those student group travelers already experienced with the Eternal City. As a student group travel planner, you’ve officially locked in Rome as your next trip idea. You’ve probably already thought of some major sights and activities to partake in with your group: the Colosseum, Vatican City, the Roman Forum and etcetera. Student groups will have their days filled with sightseeing and learning throughout this astonishing historical city. Despite this, student groups will inescapably need a break from the hectic touristy areas for the chance to indulge in some lesser known, authentic Roman activities. Highlighted below are just a few of many incredible off the beaten path sights and activities for students groups traveling to Rome. While Rome’s Spanish Steps (Scalina Spagna) aren’t necessarily an off the beaten path activity for students, they’re surely a sight to see that shouldn’t be missed on your group trip to the Eternal City. A prominent example of Roman Baroque style architecture, the Spanish Steps’ irregular butterfly design consists of 138 steps placed systematically amongst curves, straight flights, vistas and terraces. 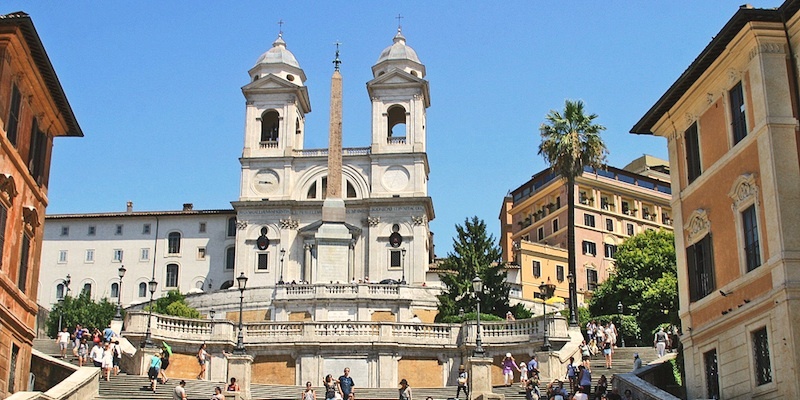 Connecting the lower Piazza di Spagna with the upper Trinità dei Monti church, the Spanish Steps were constructed between 1723 and 1725 by the rather unknown architect Francesco de Sanctis. A popular destination for poets, painters and artists alike, the Spanish Steps offer student groups the chance to sit down and take a break from sightseeing, while taking in the awe-inspiring views of Rome. Another set of miraculous yet lesser known stairs in Rome are the Holy Steps (Scala Sancta). The 28 white marble steps leading to the Church of St. Lawrence are said to be the stairs that Jesus climbed on his way to trial before Pontius Pilate, also known as the Passion of Christ. Regardless of religion, walking into this holy site and seeing people from around the world kneeling and praying on each marble step until reaching the top in a space quiet enough to hear a pin drop is an unforgettable and frisson worthy experience. The hustle and bustle of Rome will surely exhaust large student groups at some point during the trip. The heavy traffic, dense population and large tourist groups can become suffocating after several days spent in Rome. To avoid insanity for students and group leaders alike, a much needed break from the chaos of the Eternal City is inevitable. 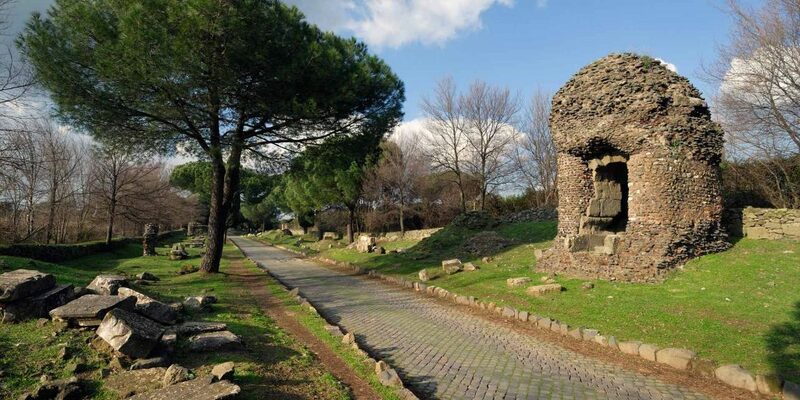 Luckily, Rome’s Appian Way (Via Appia Antica) offers student groups a break from the commotion, and a chance to revel in the city’s natural beauty without having to travel too far from the city. Located just about three miles south of the city center, Appian Way can be reached by Rome’s public bus transportation or by Big Bus sightseeing tour buses, an excellent option for large student groups. Along the way are renowned catacombs, tombs, basilicas and monuments. Appian Way is known as Rome’s oldest road still in existence, and served as a crucial military and economic artery. Student groups can rent bikes at the visitor’s center for a more thrilling stroll down Appian Way. The road leading to the famous pathway is closed to traffic on Sundays, so this is arguably the best and most peaceful day to visit. Although this is true, be aware that buses run less frequently on Sundays, and this should be figured into planning. Another getaway idea for student groups already experienced with the Eternal City is a trip to any of Rome’s several nearby beaches. If traveling to Rome during summer months, the heat can be unbearable. A beach trip is a great way for student groups to relax, unwind and catch some sizzling Roman rays. 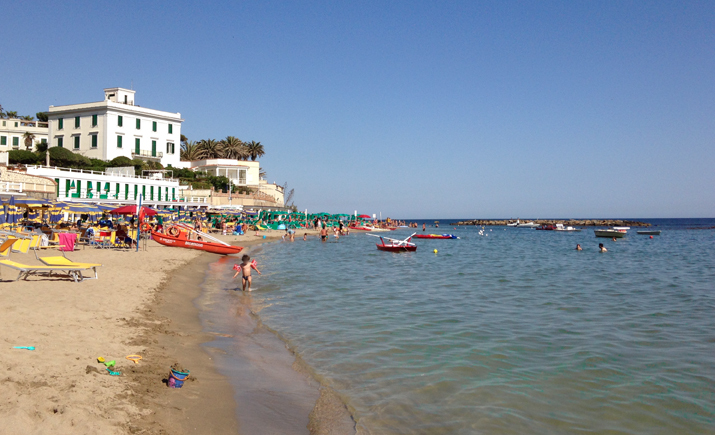 Santa Marinella is one of Rome’s best beaches in terms of travel time, comfort and overall experience. The beach can be reached by any of Rome’s major train stations. Once arriving at S. Marinella station, a five minute walk will lead groups to the white sandy beach. With several lounge chairs available for rent and a public area made for towels, there is plenty of space for student groups at Santa Marinella. With that being said, the beach can still fill up quickly, especially during summer months; student groups should be sure to arrive as early as possible. While slightly more difficult to reach than Santa Marinella, Sperlonga is disputably the most stunning beach nearest Rome. Awarded the Blue Flag (Bandiera Blu) for 16 consecutive years, Sperlonga features clustered, whitewashed houses situated amongst a steep headland overlooking the exquisite shoreline. 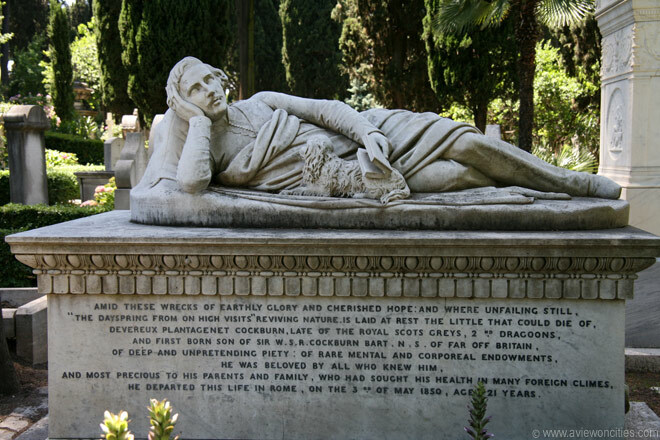 One of the oldest burial grounds in continuous use in Europe, Protestant Cemetery in Rome (Cimitero Acattolico) famously houses the graves of great Romantic poets John Keats and Percy Bysshe Shelley. The cemetery is home to several other legends, such as Communist leader Antonio Gramsci, writer Carlo Emilio Gadda and physicist Bruno Pontecorvo. A stroll through the cemetery provides an educational experience for student groups, and even leads to one of Rome’s many semi-feral cat colonies led by volunteers. Entrance to the cemetery is free, although donations are encouraged. Similar to Appian Way and the formally mentioned beach getaways, Protestant Cemetery provides students groups an escape from the chaos and noise of the city and an opportunity to relax while learning. Reaching the cemetery is made easy by several of Rome’s public buses, or by the Metro’s underground B-Line to Piramide station. For visits, student groups can inquire online. Reservations must be made online for large groups at least ten days in advance. A fundamental reason millions of tourists around the world are attracted to Italy is due to its unparalleled gastronomy. People from all corners of the earth come to indulge in the country’s pizza, pasta and fine wines. What better way to indulge in Italy’s celebrated cuisine than by participating in a group cooking class? With a little online research, student groups can participate in various cooking classes and learn how to make homemade pasta, pizza or gelato. While group leaders will have to choose which class best fits their student group, available class options include homemade biscotti, tiramisu and pizza making, Roman Jewish cuisine and full-course Italian meals with local market shopping included. Taking a cooking class may be the highlight for student groups traveling to Rome. While the Eternal City offers innumerable educational, historical, religious and architectural sights and activities, a cooking class may be the most authentic way for groups to partake in the Italian lifestyle. For ideas or inquiries on group cooking classes, click here and here.